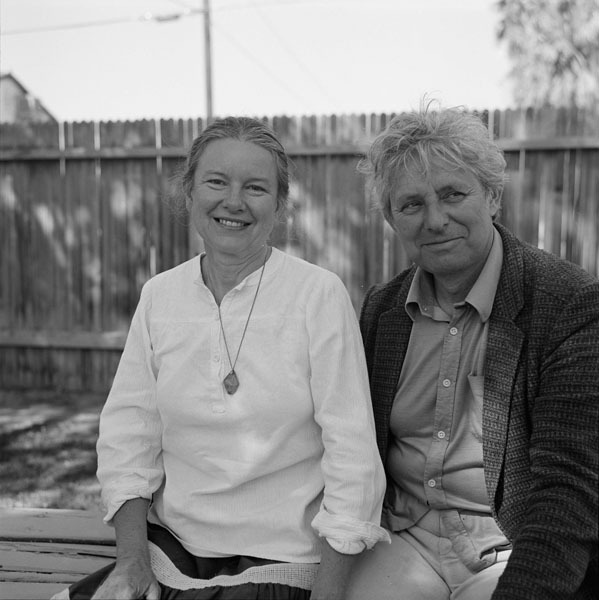 Joan and Dannie Abse sit in the garden of the University of Arizona Poetry Center in Tucson, Arizona. The photo was taken prior to Dannie Abse's reading as a guest poet in the Poetry Center's Spring 1982 Reading and Lecture Series. Joan Abse and Dannie Abse, 1982. Photograph by LaVerne Harrell Clark. Courtesy of The University of Arizona Poetry Center. Copyright Arizona Board of Regents.